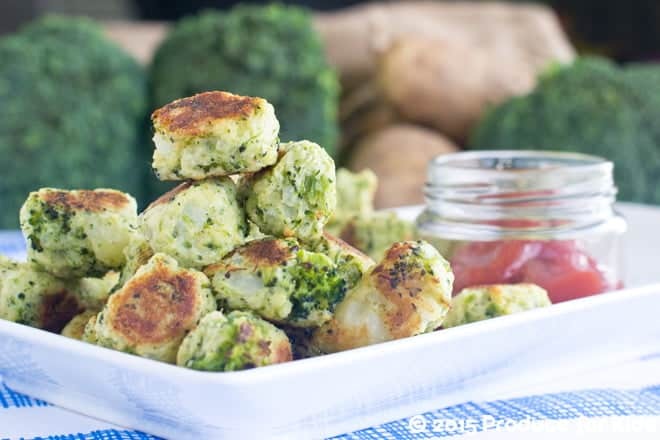 Liven up your family dinner with these Healthy Tater Tots, filled with broccoli and potatoes then baked. I developed this recipe in partnership with Produce for Kids. See all my healthy kid-friendly Produce for Kids recipes here. As you may know, I’ve been working with produce for kids for several years now to come up with healthy, family friendly recipes. One of my favorite things that we’ve done together is to come up with healthy versions of our childhood favorites. 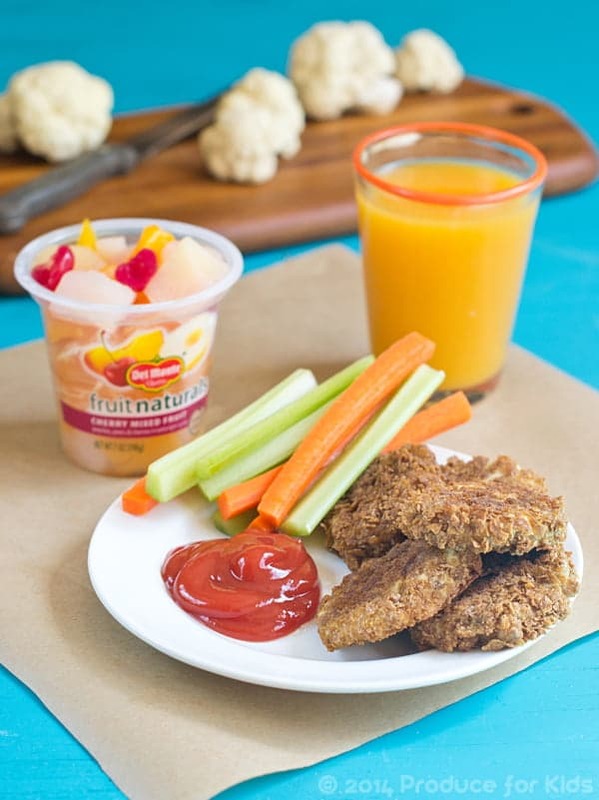 Some great examples are these Healthy Chicken Nuggets. They have cauliflower blended in with the chicken meat and a bran flakes crust which adds a nice flavorful crunch. 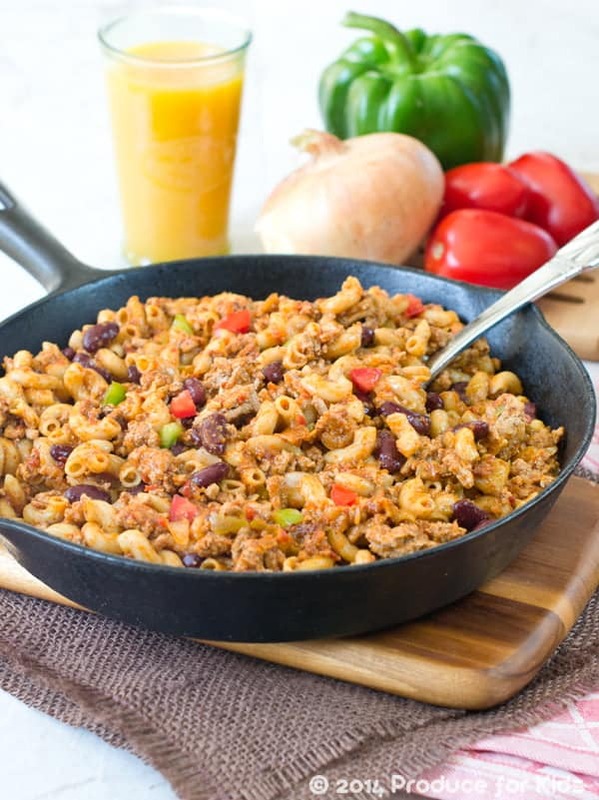 Another example is this healthy version of Hamburger Helper. Oh, and the Vegetarian Sloppy Joe’s. They are just so delicious and soooo good for you. Because we’ve had so much fun re-making these classic with healthy twists, we decided to try our hand at tater tots this time around. 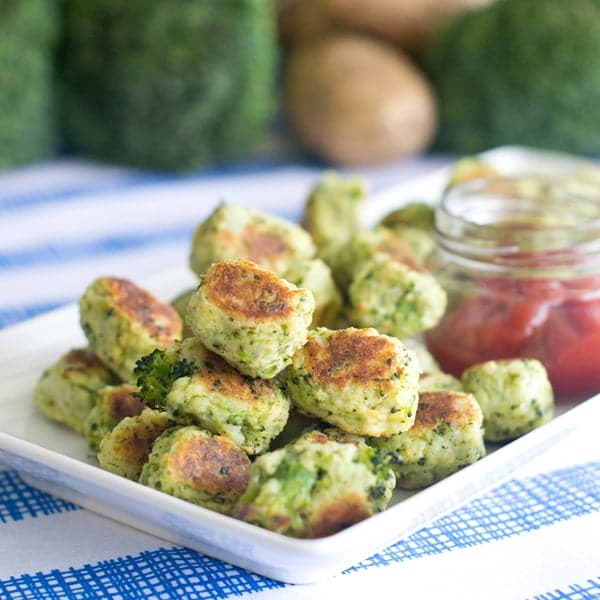 This Healthy Tater Tot recipe calls for broccoli mixed in with the potatoes. And they’re baked instead of fried. Definitely Tater Tots that you can feel good about. 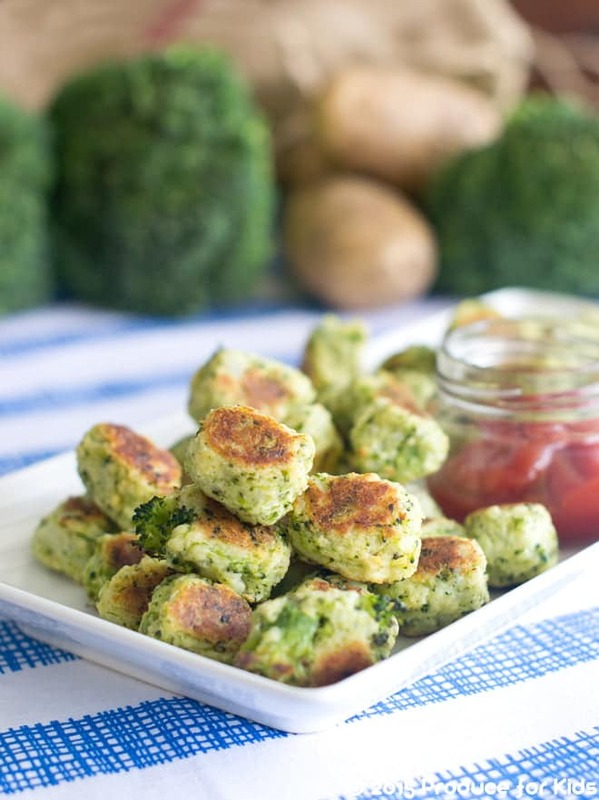 Click Here for my recipe for Healthy Tater Tots at Produce For Kids. Why is my recipe over at the Produce for Kids site? For the past few years Produce for Kids and I have been working together to come up with family-friendly healthy recipes. I develop new recipes for them and photograph those and a whole bunch more. 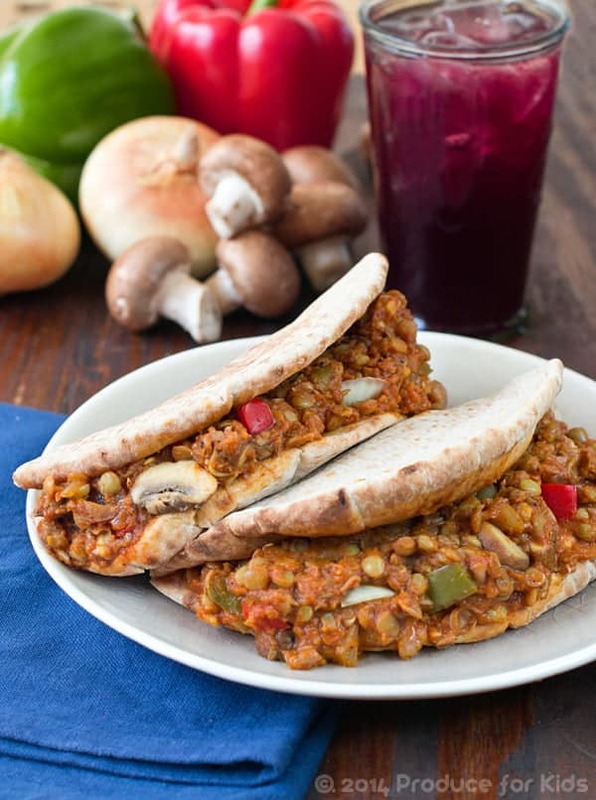 This Spring we’ve teamed up again with another round of healthy recipes to share with you. This is one of them. You can see all of my Produce for Kids recipes here. This is such a fantastic idea! I need to try them soon! These sound super interesting to me, Christine. Yummy! !